The last time Russell Crowe joined forces with the unholy trilogy of director Ron Howard, producer Brian Grazier and screenwriter Akiva Goldsmith; the result was the glossy, shallow and shamelessly manipulative garbage A Beautiful Mind. Predictably, this film was music to the ears of the Academy and A Beautiful Mind undeservedly won plenty of Oscars. 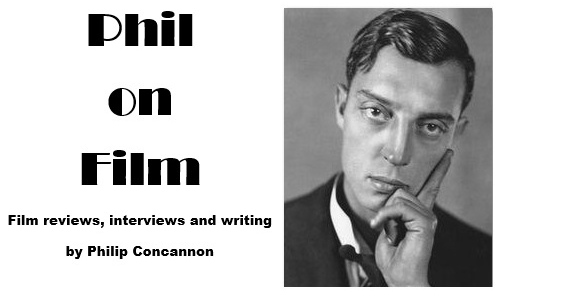 So it looks like they’re aiming for the same sort of success with Cinderella Man, another schmaltzy biopic which is crafted to within an inch of its life and is determined to wring out those audience tears by any means possible. This time our hero is James J Braddock (Russell Crowe, effortlessly better than the material) a boxer who was enjoying a nice run of success in the late 20’s before the great depression bought everything to a crashing halt. With his fortune gone, Braddock scrapes a living working on the docks while taking any low-rent fight his manager Joe (Paul Giamatti) can get for him. But when he breaks his hand in a fight even that source of income is lost, and Braddock’s fighting license is revoked by the Boxing Commission (led by the underused Bruce McGill). Braddock’s wife Mae (Renee Zellwegger) remains staunchly behind her man throughout the tough times, believing that he will find a way to end their woes and provide for her and their three children. These were difficult times for sure but, just in case you weren’t aware of what people were going through, Goldsmith and Howard helpfully spell it out to you at every turn. The throng of workers jostling at the dock gates for work manage to avoid standing on a newspaper headline which screams “Unemployment Reaches 15,000,000!”; Braddock throws the milkman’s ‘past due’ note on top of a pile of final demand letters; Mae dutifully washes James’ only pair of socks. This spoon-feeding approach to storytelling is unsurprising from Howard but it still grates. He is determined to pile as much adversity and tragedy as he possibly can on the boxer’s shoulders so that his comeback will be all the greater. And what a comeback it is! Braddock was thrown into a high-profile match after another fighter pulled out and, with his surprise victory, he was suddenly back in the fight game. This time around he wasn’t just fighting for his family, or his pride, but for the whole nation; as his phoenix act caught the attention of the unemployed masses and he became a symbol of hope for them - a personification of the American dream. This is unquestionably a great story and Braddock’s tale deserved to be told, but it deserved a better rendition than this. 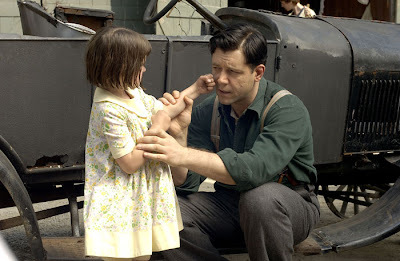 Cinderella Man is well-crafted, well-acted and staggeringly banal in every way. I have nothing against a film adhering to a well-worn formula, but you have to add a little something into the mix yourself, and Akiva Goldsmith simply takes this underdog tale and fills in the gaps with cliché, after cliché, after cliché. He pads out Cinderella Man’s 144 minutes with some incredibly trite dialogue, with Mae Braddock’s “you are the champion of my heart” marking the film’s nadir. Renee Zellwegger’s shrill, one-note performance (in an admittedly one-dimensional role) doesn’t do much to sell lines like this either. Other actors manage better with the words they’re given to say, and Russell Crowe delivers another accomplished performance. With his hangdog face and reluctant smile, Crowe plays the part of the humble underdog to the hilt and his sensitive, generous performance makes the saintly Braddock a compelling figure. Paul Giamatti is every bit Crowe’s equal as Braddock’s loyal manager and friend Joe Gould. Like a younger, more sprightly Burgess Meredith, Giamatti gives an energetic and unflagging display in Braddock’s corner and provides some much-needed humour to prick the pomposity surrounding the production. The scenes between Crowe and Giamatti come to form the emotional centre of the film, an honest and touching portrayal of friendship which is almost enough to convince you that the movie has a heart. Almost, but not quite. But Ron Howard works like a demon to make us believe that there is something genuine under the polished veneer of this picture. He jabs away at the audience’s emotions but never comes close to landing a knockout punch. Howard is the most unremarkable and conservative of American filmmakers and his work in Cinderella Man is typically solid and uninspired. There is never a surprise in store, nothing close to ambiguity or complexity in the entire film. Braddock’s comeback fight was against the savage champion Max Baer (gamely played by Craig Bierko) and, just in case we weren’t on our hero’s side already, the film makes Baer a sneering Hollywood villain who hits low and makes suggestive comments about Mae Braddock. Howard’s determination to control every emotion the audience feels stifles any genuine sense of connection we may feel with the picture. The director’s handling of the boxing sequences is fine, although anyone making a boxing film these days must cope with the fact that Martin Scorsese has already called all the shots in that department. The fights here are nicely staged and convincing enough, with the build-up to the climactic Baer bout effectively depicting Braddock’s new status as a man fighting for the hopes of a nation. But, again, Howard makes sure we get the point during the fight by inserting subliminal shots of the poor huddled masses, or images of Braddock’s family. If you didn’t know what he was fighting for then you do now, and it’s a move which sums up this film’s deficiencies. Crowe, Giamatti and James Braddock himself deserve much better than this simpleminded nonsense - and so do we.